A wonderful accessory for that music lover, musician, or music teacher (who loves to read, of course!) 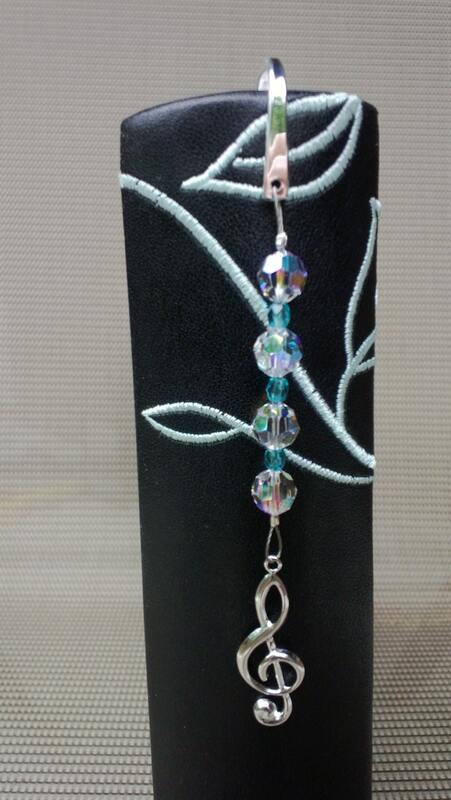 A combination of glass beads with a large treble clef hanging at the bottom. So pretty, so useful, and so affordable! Add a little beauty to your nightstand or bookshelf...for the love of music, and the love of reading! 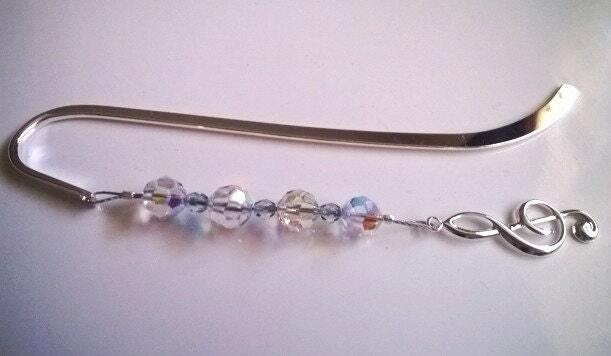 Entire bookmark measures 5 inches. Treble clef measures over 1.25 inches.